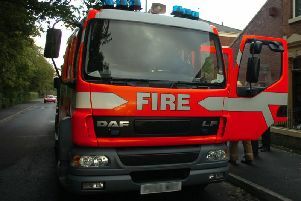 Police are investigating a suspected arson attack in Rivington after a car was deliberately set alight, say fire services. Crews from Chorley and Greater Manchester were alerted to the blaze on Sheep House Lane at around 1.30am on July 7. Crews used a hose-reel jet to extinguish the blaze. A spokesman for the fire service said: "Two fire engines and crews, from Chorley and Greater Manchester Fire Service, responded to a report of a car on fire off road. "Firefighters used a hose-reel jet to extinguish the fire, which was started deliberately. There were no casualties. Police were notified of the suspected arson." Nobody was injured in the incident.